The answer my friends, is no. Why limit pumpkin spice to just lattes? The PSL trend has been gaining momentum year after year with no sign of slowing down. You can get almost anything pumpkin spice flavored from cereal and cream cheese to peanut butter and potato chips. Now you can literally sweat pumpkin spice. 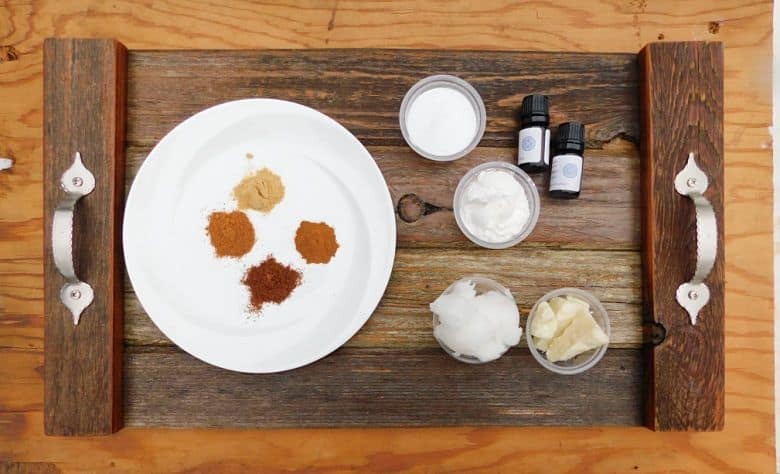 The best thing about this diy deodorant is that it’s made with all natural ingredients. It’s so natural you could eat it, although I don’t recommend that you do because while it smells like a PSL, unfortunately it doesn’t taste like one. 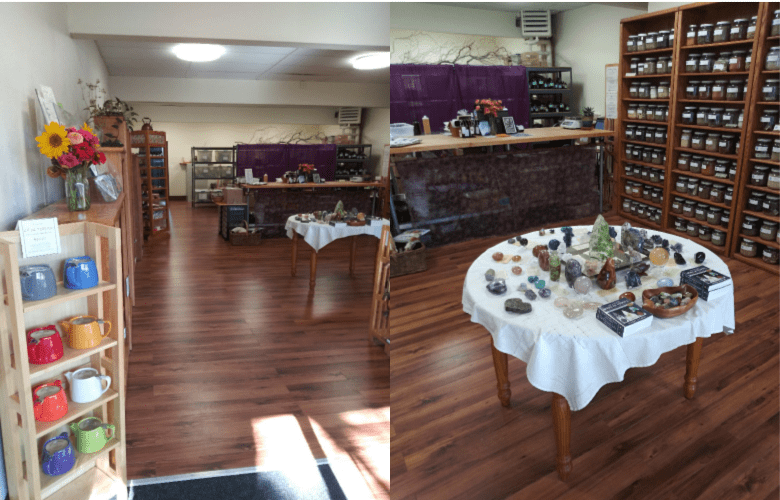 This post was created in partnership with Living Earth Herbs an independent herbal shop in Bellingham Washington. 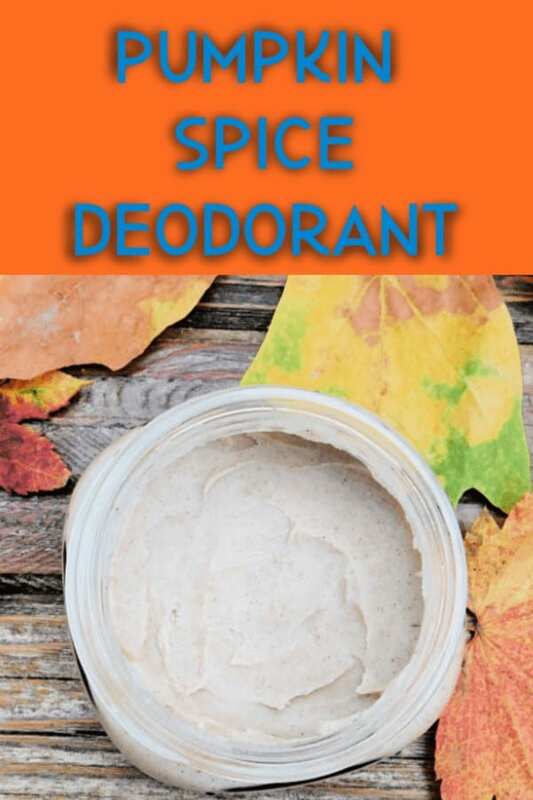 Everything you need to make this scrumptious pumpkin spice deodorant can be purchased from their online shop, or if you’re local, visit them in their new location at 1411 Cornwall Ave Bellingham WA. 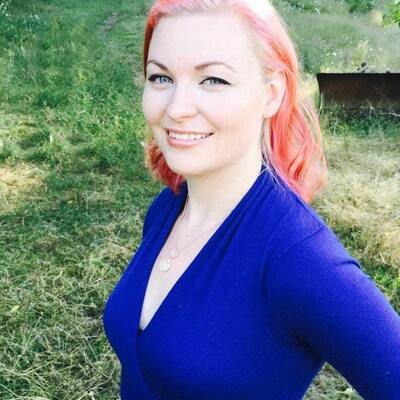 Living Earth Herbs is a community apothecary owned by Michele Sanger, an herbalist trained in the Pacific Northwest. All of the employees at Living Earth Herbs have completed apprenticeships with Michele, and are actively encouraged to continue studying herbal medicine in all its many forms and many choose to contribute herbs grown in their gardens and wild-craft herbs for the shop too. Living Earth Herbs is proud to make all of their own salves, infused oils, and teas, as well as their uniquely formulated tincture blends and essential oil blends. Living Earth herbs is a fantastic source for organic bulk herbs, teas, essential oils, flower essences, salves, tinctures and more. Plus, you can order online and they will ship directly to you. 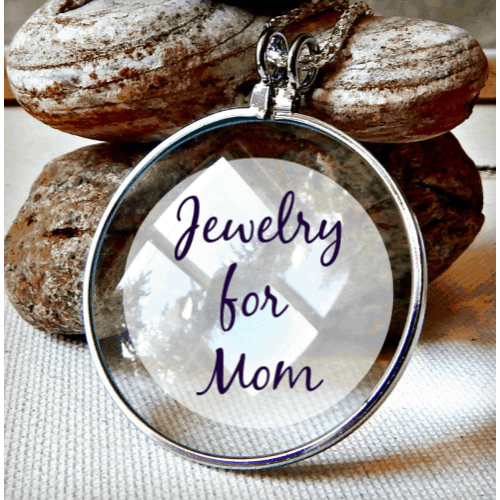 So head over after you read this post and start shopping! How do you make natural deodorant? Will baking soda in deodorant cause a rash? Are you feeling particularly “basic” this fall? Do you run to Starbucks the first day the PSL is available for purchase? Are you running out of new pumpkin spice-scented things to try? 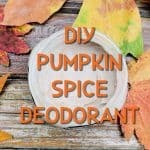 If you answered yes to any of those questions, pumpkin spice deodorant may be right for you. 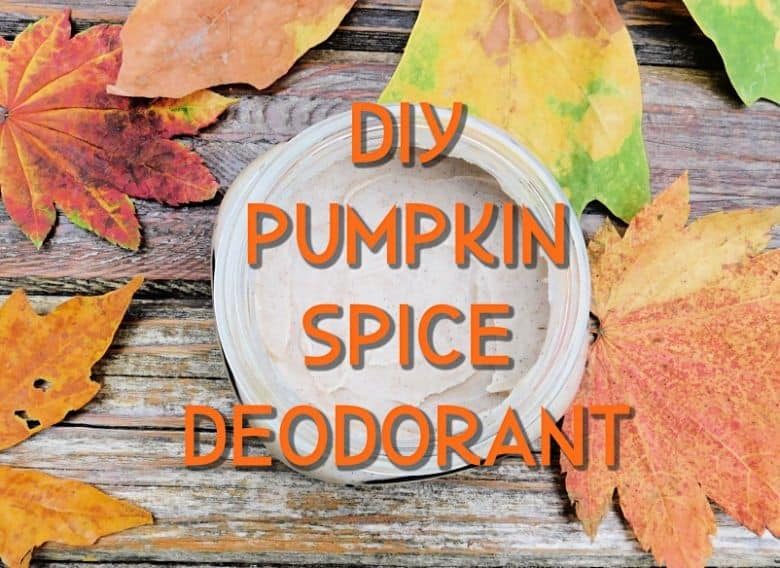 Grab your UGG boots, flannel shirts and leggings, PSL season is here and it’s time to “spice up” your armpits. Before we get started with the recipe, lets talk about deodorant and the myths that surround it. There are two different kinds of deodorant: deodorant and antiperspirant. Regular deodorant covers smells by killing the bacteria in your armpits that cause bad odors, and covering up bad smells with perfumes. Antiperspirant has the same antibacterial products, but it also includes aluminum, which temporarily blocks your sweat glands and stops them from producing sweat. There are many myths and misinformation about whether or not commercially made deodorant with aluminum and parabens can cause cancer or Alzheimer’s disease. Most antiperspirant worries center on the active ingredient, an aluminum-based compound that temporarily plugs the sweat ducts and prevents you from perspiring. Typically, antiperspirants are coupled with a deodorant. There is information circulating on the internet that the aluminum can cause Alzheimer’s disease and that the parabens in deodorant can disrupt hormones and possibly lead to breast cancer. These rumors were started years ago through an email hoax. According to my research there are no studies that have proven a correlation between cancer or Alzheimer’s and the ingredients in deodorant. However, science is always changing and new information is being discovered. Just because a link hasn’t been found yet it doesn’t mean that it isn’t possible that one won’t be found in the future. I encourage you to do your own research and decide for yourself what kind of body care products to use. The thing I like about this homemade deodorant recipe is that it is customizable. I like the smell of essential oils and spices. Many of the fragrances in store-bought deodorant aggravate my allergies but when the scent is natural it always agrees with my nose. Plus, it’s fun to make your own body care products! For this recipe coconut and shea butters are melted together in a double boiler. 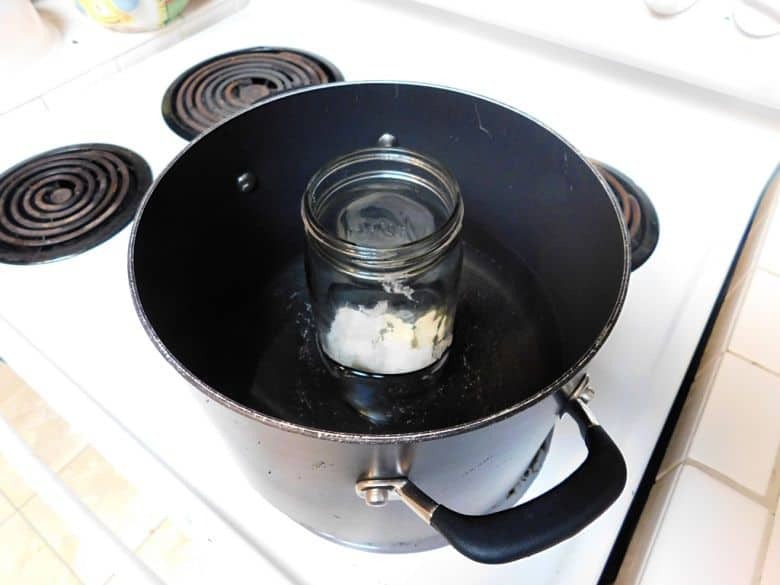 If you don’t have a double boiler you can do what I did and place the oils in a tall mason jar and place it in a pot of boiling water until the oils melt together. Shea butter is a fat extracted from the nut of the African shea tree. It is widely used in cosmetics as a moisturizer, salve or lotion. Shea butter is edible and is used in food preparation in some African countries. Shea butter is a great ingredient to use in homemade deodorant because it so moisturizing. It easily penetrates the skin and won’t clog pores. Shea butter will help sooth the skin and prevent shaving irritation. Baking soda helps to neutralize odor, the cornstarch or arrowroot powder helps to absorb moisture and the added essential oils are also anti-bacterial. Baking soda has earned a bad reputation because it gets blamed for causing an underarm rash. It may cause a rash because of its alkaline pH If it’s used at too high of a concentration. If you find that baking soda irritates your skin you can omit it and use extra arrowroot or cornstarch in it’s place. Can't get enough pumpkin spice? 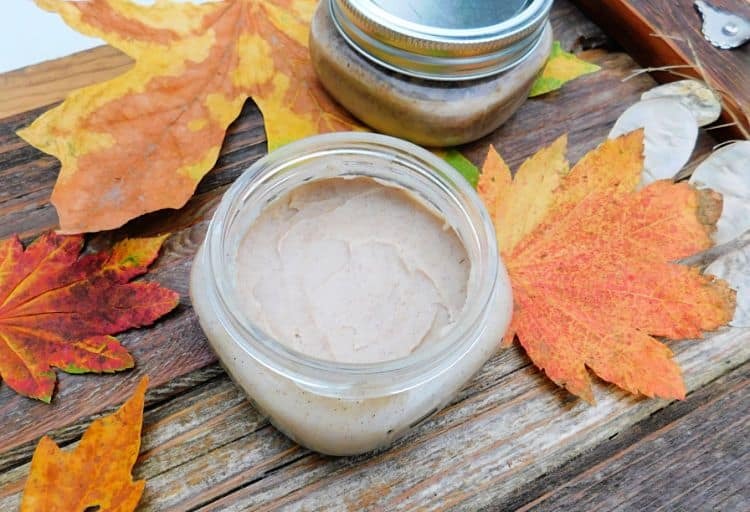 This DIY pumpkin spice deodorant will keep you smelling just like your favorite autumn drink, the PSL. It has all natural ingredients like coconut oil, shea butter, spices and essential oils. It smells good enough to eat and while it's so natural you could, you should probably stick to an actual PSL. If you like this recipe don’t forget to give it 5 stars!